Last week, Right Wing Watch reported that Wintrich told us he was on paid leave from Gateway Pundit when we noted him engaging in a conversation promoting scientific racism with white nationalist podcast host Nicholas Fuentes. Although Hoft claims that Wintrich had left the site weeks ago, during the podcast, which first aired on August 7, Wintrich still claimed he was employed at the site and was introduced as “New York City bureau chief from the Gateway Pundit.” Hoft never responded to our emails. 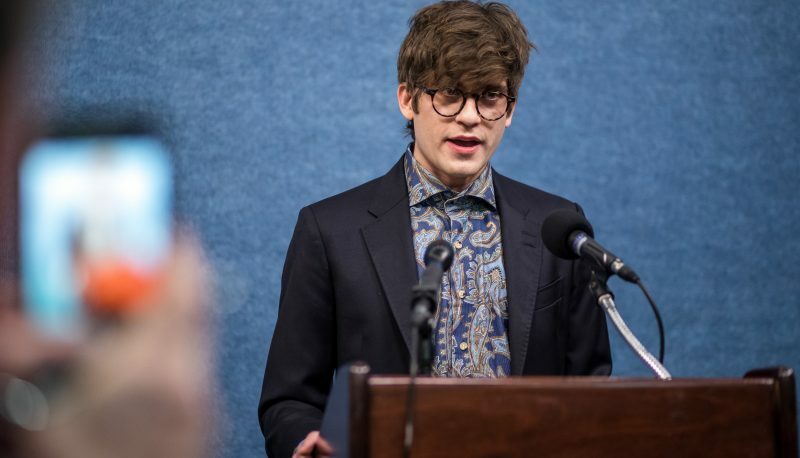 I’d like to wish Lucian Wintrich the best of luck and blessings on his next endeavor after leaving Gateway Pundit several weeks ago. In response to his public termination and a testament for how definitely-not-mad he is, Wintrich took to Periscope and said he named a lobster he was about to boil after this reporter.